Escallonia is a hedge that plant that provides beautiful colour to your garden with white, pink or red flowers emerging from June to October and evergreen foliage throughout the year. A native to Chile, Escallonia hedge plants can handle full sun and various planting conditions meaning theyre perfect for some difficult planting areas and their ability to tolerate a wide range of planting sites mean they can even adorn your patio if grown in pots. These eye-catching plants display fantastic, bright flowers and the evergreen foliage provides year-round interest, keeping your garden colourful even once the flowers have faded. Although classified as evergreen some Escallonia hedges may lose some foliage in the very harshest of winter but otherwise the aesthetic dark foliage provides the perfect background for the bright flowers in the Summer, as well as offering a great wind break. A wonderful multi-purpose hedge plant Escallonia can also be grown as a specimen plant or a climber; whether they are pot grown or left to grow as a bush and adapt well to rockery planting. 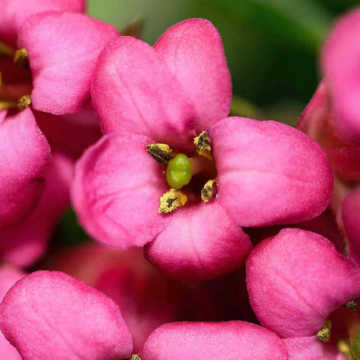 Escallonia Pink or Escallonia Donard Seedling hedging is a wonderful shrub that offers year-round interest and is ideal to use in beds and borders. 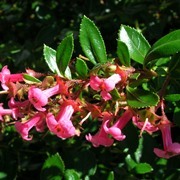 As the name suggest it produces bright pink bell shaped flowers that stand out dramatically on the leaves which are a dark green. The flowers are popular with wildlife such as bees, and the plant benefits from being planted in sunny positions although it grows well in seaside areas due to its hardy nature. 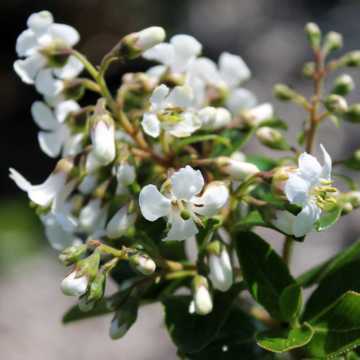 Escallonia 'Iveyi', or Escallonia White, has a similar hardy nature and similar glossy dark green foliage but is punctuated with white bell-shaped fragrant flowers from June to October. Escallonia White also benefits from evergreen foliage, as well as wildlife interest. Another benefit of this plant is that it also creates a strong privacy screen and will protect from winds and noise pollution. Escallonia Rubra is also a great option for coastal or exposed seaside areas as well as making a strong, dense privacy screen. 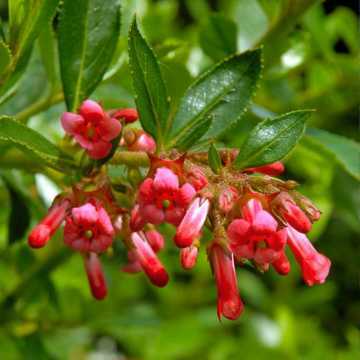 Escallonia Rubra macrantha hedge plants or Red Flowering Escallonia as they are otherwise known, possess large amounts of bright, dark pink or red, bell shaped flowers with dark green glossy evergreen foliage ensuring year-round interest. Red Escallonia hedges will grow in almost any well-drained soil, with a good amount of sun exposure that doesn't get very cold. There is always a degree of variance from plant to plant and species to species but the growth rate of most Escallonia hedges is on average between 25-45cm a year and best suits a height between 1-3m. Escallonia root systems usually develop best when planted approximately 30-40cm apart which will give you good coverage and strong roots. Relatively low maintenance, we recommend pruning your Escallonia hedging plant at least once a year, immediately after flowering being the ideal time although regular clipping is beneficial and helps achieve an attractive formal shape. 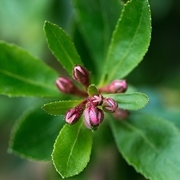 Escallonia plants have many positives, from the beautiful flowers to the dense and hardy foliage, they are a plant however that is at risk of developing leaf spot. There are ways to combat against the fungal infection, including cutting back any affected leaves and removing fallen leaves from around the plants base. 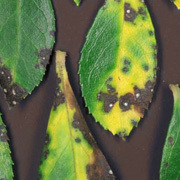 Stimulating new leaf growth and avoiding the possibility of the disease spreading will go a long way to ensuring the disease does not get too severe, including symptoms such as yellowing or loss of leaves and purple to black spots with white centres which could appear on some of the foliage. There is also the chance that in the most severe of cases you end up with completely bare branches. Summer, particularly in wet conditions is when the plant is at most risk and so keep an eye on the health of your plant whilst pruning or clipping or even whilst you are admiring its stunning bell-shaped flowers or checking to see what visitors have made it their home. 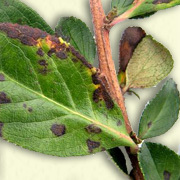 Keeping your Escallonia watered and properly fed decreases the chance of leaf spot taking hold and will ensure that your plant remains fit and healthy. 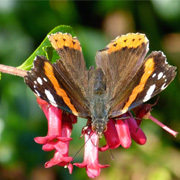 No matter which variety of Escallonia you plant, or what colour flower you prefer, you will find that honeybees, bumblebees and butterflies will come and enjoy the flowers. Any hedges that produce flowers are good for local wildlife so Escallonia is perfect for a bee garden, whether planted as a hedge or within a rockery or planted in a garden border.